Whatever you guys did to the new version of Airdroid does not work well with Google's Motorola Nexus 6 android version 5.1!! (if ever there was an android phone any phone your app should work with it has to be the Google phone people). The only way to stop the stupid recurring memory-eating photo from propagating was to factory reset the phone. I used to love airdroid... now it's just total BUNK!!!! Are you using web.airdroid.com or AirDroid Mac/Win? Can you tell us more details? And please send your AirDroid account to support@airdroid.com to help us figure it out (please also attached the link of your post). The drop connection issue is also happening with my Glaxasy s6. I mean i can reconnect without issue, but the fact they are sitting on my desk next to each other...not a consistent experience. You mean AirDroid Web or AirDroid Mac/Win? Does this happen all the time? Should it be possbile that your phone's network is interrupted when it goes sleep and then the connection between your phone and AirDroid also interrupted? Are you using web.airdroid.com or AirDroid Mac/Win? Can you tell us more details? 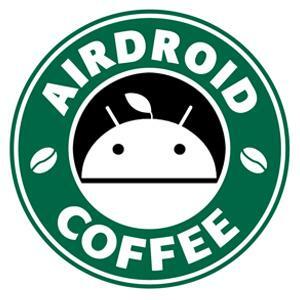 And please send your AirDroid account to [email]http://forums.airdroid.cosupport@airdroid.com[/email] to help us figure it out (please also attached the link of your post). How do you want me to send the account details? Does airdroid have an error log for me to attach to the support email?